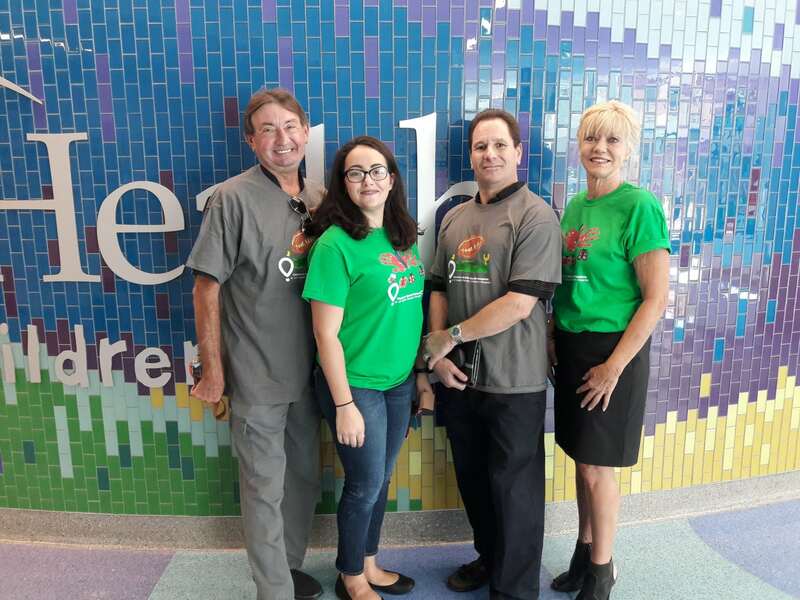 On November 2, UF Health Shands Children’s Hospital welcomed the Florida Rx Card team for an event with Child Life on one of the pediatric units. The group spent a couple hours with pediatric patients playing BINGO, making festive turkey headbands, and other crafts. Some of the team members even had the opportunity to visit children at the bedside to ensure they did not miss out on the fun. From left to right is Greg Hejlik, Adriana Habash, Mike D’Acunti and Penelope Geismar from the Florida Rx Card team. “It was an honor to be a part of this Children’s Miracle Network Hospital event,” said Regional Manager Adrianna Habash. Florida Rx Card is part of a national partnership with Children’s Miracle Network Hospitals and United Networks of America. Each time is prescription is processed through a Florida Rx Card in the Gainesville, Tallahassee or West Palm Beach market areas, UF Health Shands Children’s Hospital will receive a donation. The Florida Rx Card is a statewide prescription assistance program and all Florida residents are eligible to have their prescriptions processed through the savings card. Visit FloridaRxCard.com to download a free card for you and your family.